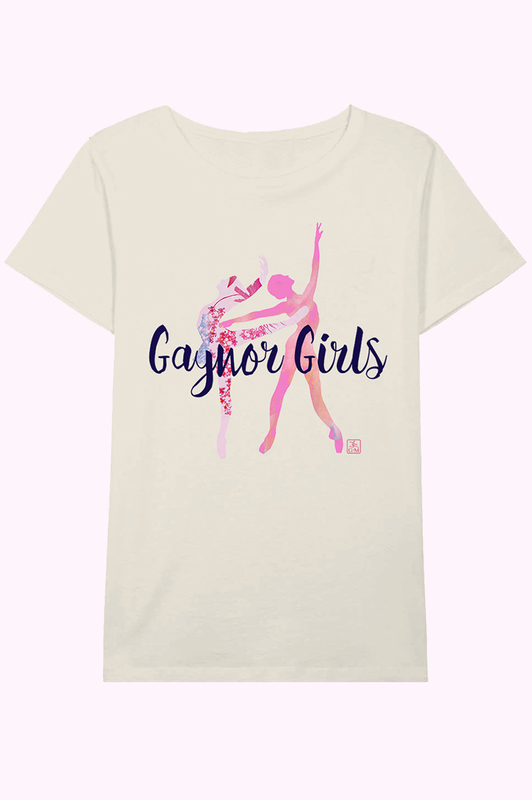 Proud to be a Gaynor Girl? 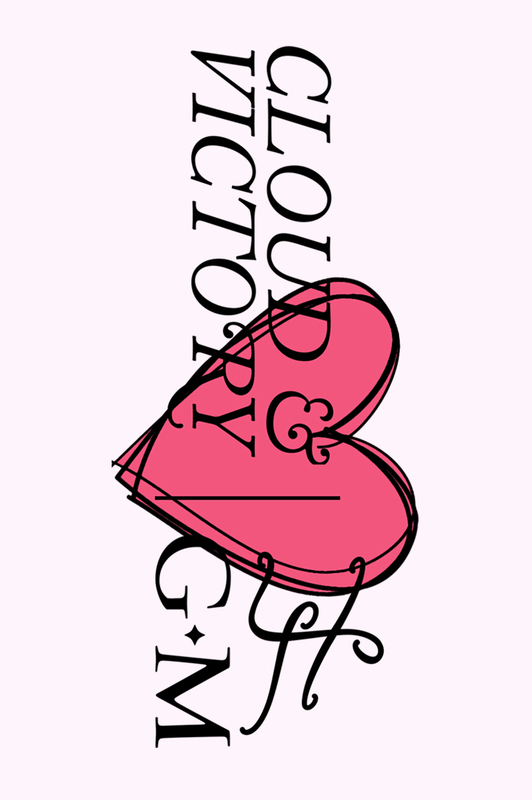 Show it with this beautiful, limited edition T-shirt! the socially responsible ballet clothing brand. Made from sustainably sourced fine organic cotton. Crafted with care and just that bit of fun. Crisp, detailed digital print design. Available in Navy Blue and Ivory. 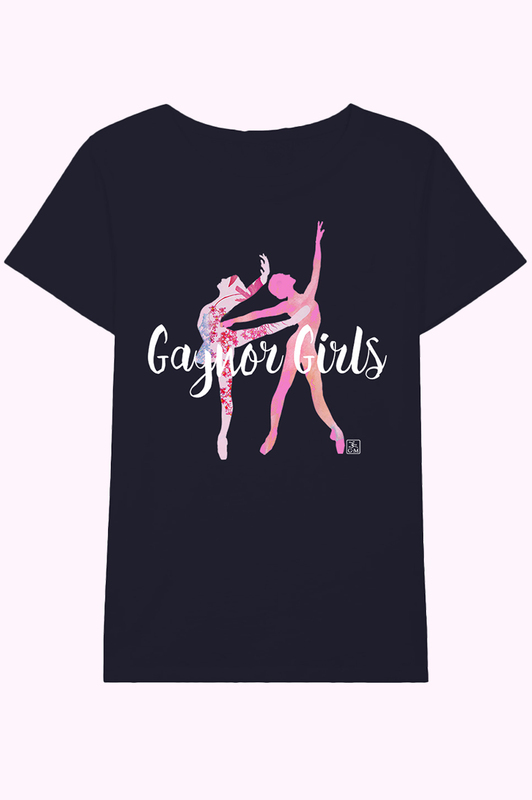 Learn about our Official Gaynor Girl Program here.